Jazz aficionados are in for a treat when The Wee Trio takes the Dunham Hall Theater stage at 7:30 p.m. on Oct. 17 for the next SIUE Arts & Issues program. 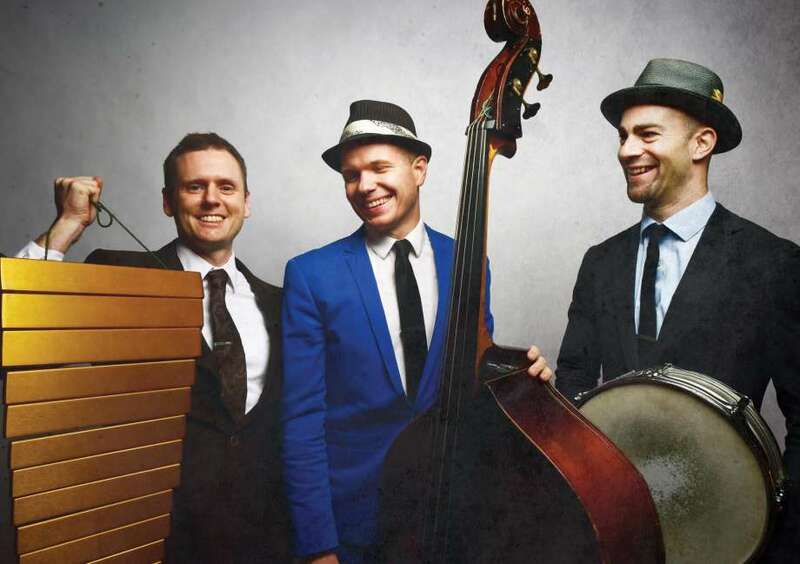 The trio, which calls both Nashville and New York City home, tours around the world and features James Westfall on vibraphone, Jared Schonig on drums and SIUE’s own 2002 music grad Dan Loomis on bass. It further notes that Loomis went on to do his graduate work at Eastman School of Music and by then his playing was already receiving national attention for his The Very Tall Band which was made up of Loomis and his Eastman compatriots. Later Loomis formed the Dan Loomis Quartet which released two albums and toured the U.S. extensively for much of 2006 and 2007. Over the years Loomis has been busy leading his own projects and working as a sideman in New York which has allowed him to work with a vast number of artists and play in some of New York’s prestigious venues. In 2012, The Wee Trio unveiled their third recording and boldest project to date, “Ashes To Ashes: A David Bowie Intraspective,” which re-imagined the iconic work of David Bowie and introduced The Wee Trio to an entirely new audience. “Even with the success of their studio albums the band still found it’s most compelling outlet in their live performances, so in 2013 they released “Live at The Bistro,” a document of an incredible weekend at St. Louis’ premier club,” Loomis’ website adds. “Wee + 3 is an album about relationships,” the website further states. “Dan Loomis is from Middle America, Jared Schonig is from the West Coast and James Westfall is from the South. Together they have traveled to every corner of the country and the songs on this album celebrate their individual roots and their travels together. The bonds that The Wee Trio formed as a band happened very soon after they all moved to New York City and has strengthened over the years,” the website further notes. It’s clear that The Wee Trio is making a name for themselves and their performance at SIUE on Oct. 17 will be one not to miss. Not only will this show be featuring Loomis, an SIUE alum, but the SIUE Jazz faculty will be opening the show. The Wee Trio is sponsored by Scott Credit Union. Arts & Issues tickets can be ordered on-line at artsandissues.com or in-person at the Morris University Center (MUC) Welcome Desk. The MUC Welcome Desk is open Monday through Friday 7:30 a.m. until 7:30 p.m. and Saturday 11 a.m. until 3 p.m. The Welcome Desk is closed on Sunday. To place your order by phone call 1-866-698-4253.